His Holiness Pope Francis has appointed Father Fintan Gavin, Chancellor of the Archdiocese of Dublin, as the new Bishop of Cork & Ross. The news of this appointment was made public today at 12.00 noon in the Vatican (11.00 am Irish time). Bishop-elect Gavin concelebrated Mass at 10.15 am this morning in the Cathedral of Saint Mary & Saint Anne in Cork City with His Excellency the Apostolic Nuncio to Ireland, Archbishop Jude Thaddeus Okolo; Bishop Emeritus of Cork & Ross, Bishop John Buckley and with priests of the diocese. Please see below for a brief overview of the life and ministry of Bishop-elect Fintan Gavin. Bishop-elect Gavin was born in Dublin on 1 January 1966 and baptised in Saint Andrews Parish, Westland Row, Dublin, on 5 January 1966. He is the second eldest of seven brothers and sisters. His family roots are in Marino, Saint Vincent de Paul Parish, on the Northside of Dublin. His grandparents and ancestors were from Midfield, Co Mayo, Newtown, North Co Dublin, and Lisnaskea, County Fermanagh. He played hurling and football with Saint Vincent¹s GAA Club, Marino, and was a member of Marino Athletic Club. Prior to his seminary formation in Clonliffe College, Dublin, Bishop-elect Gavin had begun training as a residential social worker in Our Lady¹s Hostel, Eccles Street, Dublin, from September 1983 ­ August 1984. Up to today¹s appointment to the Diocese of Cork & Ross, Bishop-elect Gavin was Chancellor in the Archdiocese of Dublin and Parish Chaplain in Ballymun Road Parish and the Grouping parishes of Iona Road, Drumcondra, Glasnevin, Ballymun Road and Ballygall, Dublin, and Chaplain to the Italian speaking community in the Archdiocese and chaplain to the annual Dublin Diocesan Children¹s Pilgrimage to Lourdes. He is fluent in Italian and Spanish and enjoys keeping fit, walking, cooking – especially vegetarian, and gardening. Education, Undergraduate, Postgraduate Study Primary school, Scoil Mhuire, CBS, Boys¹ National School, Marino (1973-1978); secondary school, Ardscoil Rís, CBS, Marino (1978- 1983); third level,(1984-1991) seminary formation, Holy Cross College, Clonliffe, Dip Phil, NCCA (1987). During seminary education in the course of a pastoral year, he trained at Liberty Hall, Dublin, the headquarters of the Services, Industrial, Professional, and Technical Union (SIPTU); at the Northlands addiction treatment counselling centre, Derry, and at Saint Patrick’s Hospital, Mental Health Services, James¹ Street, Dublin (1987-1988). Bishop-elect Gavin¹s summer parish experience was at Brentwood Cathedral Parish of Saint Mary and Saint Helen, Essex, England,(1990). 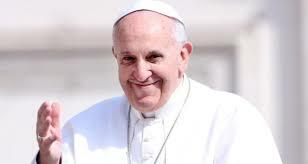 He awarded a Bachelor of Divinity (1991), Holy Cross College, Clonliffe, Dublin [a sub studium of The Pontifical University of Saint Thomas Aquinas, ANGELICUM]; H Dip in Education, University College Dublin (NUI) (1994); JCL, Licence in canon law, from The Pontifical Gregorian University, Rome (1999), JCD, Doctorate in canon law, specialising in Rotal Jurisprudence from The Pontifical Gregorian University, Rome, (2003). Bishop-elect Gavin was a priest-teacher at Saint Thomas¹ Community College, Bray, Co Wicklow (1991-1994); Chaplain, Saint Gerard¹s Junior and Senior School, Bray, Co Wicklow (1991-1994); Parish Chaplain, Holy Redeemer Parish, Bray, Co Wicklow (1991-1994); Priest-teacher, Killinarden Community School, Tallaght, Dublin 24 (1994-1996); Parish Chaplain, Parish of the Sacred Heart, Killinarden, Tallaght (1994-1996). On the nomination of the Archbishop of Dublin, post-graduate doctoral study, Pontifical Gregorian University, Rome, residing at the Pontificio Collegio Portoghese, Rome (1996-2002); Vice- Chancellor, Archdiocese of Dublin (2003- 2017), Parish Chaplain, Saint Andrew¹s Westland Row, Dublin (2002-2010); Parish Chaplain, Our Lady of Victories, Ballymun Road, Dublin (2010 -present), Chancellor, Archdiocese of Dublin (2017- present); Chaplain in the Dublin diocese to the Italian speaking community (2015- present); A member of the ŒEmbrace¹ Team, inter-church marriage preparation in Dublin (2002 – present). Member of Dublin Diocesan Advisory Committee on Incardination of Priests (2010 – present); Member of the Case Management Committee of the National Board for Safeguarding of Children in the Catholic Church in Ireland (2016 ­ present). While serving in the inner city parish of Saint Andrews, Westland Row, Dublin, Bishop-elect Gavin collaborated in the initiative of the very successful ŒSecond Chance Saturday¹, Vigil Mass for Sunday, for those who had drifted from Church. This pastoral initiative invites and encourages people to give their faith a second change, reaching out through street ministry and offering social time and hospitality after Mass. Bishop-elect Gavin has led groups of young people to International World Youth Days in Madrid, Rio de Janeiro and Krakow. He has participated as a chaplain to the Dublin Diocesan Children¹s Pilgrimage to Lourdes each year during Easter Week, travelling with a group of children with special needs and their helper-volunteers to Lourdes, France, and collaborating with leaders who plan, fundraise and train together as helpers in advance during the winter and early spring months. He worked with the music director over the last nine years, developing the Gospel Choir in Our Lady of Victories Parish, Ballymun Road, Dublin, who, with a young adult group, animate a Mass for Young People in the parish every Sunday evening. The choir was especially chosen to lead the liturgical singing during Pope Francis¹ meeting with engaged and newly married couples at Saint Mary¹s Pro Cathedral, Dublin, during the 9th World Meeting of Families in Ireland in August 2018. Bishop-elect Gavin taught canon law at the Milltown Institute of Theology and Philosophy, Dublin (2005-2011). He supervised students in the pastoral programme and a guest lecturer at Saint Patrick¹s College, Maynooth (2008-2016). Bishop-elect Gavin taught those preparing for the permanent diaconate in the Archdiocese of Dublin (2009 – present) and taught students preparing for the permanent diaconate for the dioceses of Elphin, Kilmore and Achonry (2015 ­ present). Bishop-elect Gavin has been invited to give diocesan priest days. He was part of the delegation representing the Irish Catholic Bishops¹ Conference for the negotiation and implementation of new civil marriage legislation introduced in the Republic of Ireland in 2007. Bishop-elect Gavin led a working group charged with the review of the Pre-Nuptial Enquiry Form and associated pastoral guidelines on behalf of the bishops. He led the in-service formation for bishops, priests and deacons in the four ecclesiastical provinces of Ireland relating to the new Pre-Nuptial Enquiry. Bishop-elect Gavin is a member of the Canon Law Society of Great Britain and Ireland and has been a member and chair of the research and development sub-committee of the society (2004 ­ present). He has been a member of the Colloquium of Anglican and Roman Catholic Canon Lawyers for many years and given many presentations in that regard. Pastoral Care in Marriage Preparation (Canon.1063). History, Analysis, of the Norm and Its Implementation by Some Particular Churches (Pontificia Univerisità Gregoriana: Roma) 2004. Bishop John Buckley was ordained Titular Bishop of Leptis Magna on 29 April 1984 and installed as Bishop of Cork & Ross on 6 February 1998. The diocese includes Cork City and part of County Cork. It has a Catholic population of 220,000 across 68 parishes and its patron saints are Saint Finbarr and Saint Fachtna.